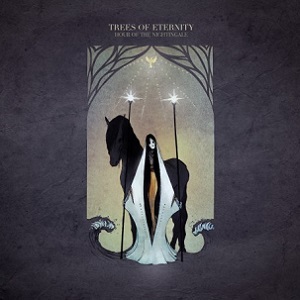 Once considered the viable side-project of Swallow the Sun principle songwriter Juha Raivio, Trees of Eternity will sadly never go beyond one album. The April 2016 passing of vocalist Aleah Starbridge has effectively put an end to Trees of Eternity, but Hour of the Nightingale will no doubt live on. 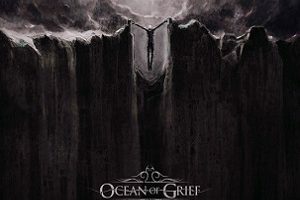 Aside from Raivio and Starbridge, the Norrman brothers (Fredrik and Mattias of Katatonia/October Tide fame) and in-demand Nightwish/Wintersun/Swallow the Sun drummer Kai Hahto are also aboard, making this a veritable supergroup of outright melancholy. 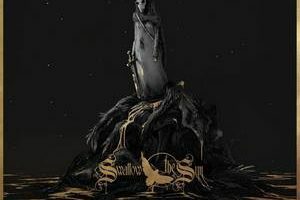 In many respects, this is just Swallow the Sun with female vocals, as Raivio’s familiar bleeding-heart guitar lines, dark-for-days doom riffs, and slow-motion compositions take quick hold. Because of his productivity in Swallow the Sun (see: last year’s three-album Songs from the North), it’s quite easy to get one’s head around Raivio’s songwriting angles and shapes. 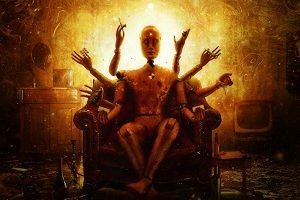 Not surprisingly, he’s stacking aching doom (“Eye of Night”), melodic swirls and climaxes (“Broken Mirror,” the album’s best cut) and crushing funeral marches (“Gallows Bird,” which features a guest vocal spot from Paradise Lost throat Nick Holmes). Starbridge is perfectly suited for the material, a wintry, enchanting vocalist who may rarely stray from her pitch comfort zone, but frankly, doesn’t have to. She’s joined by Antimatter force Mick Moss on the stirring “Condemned to Silence,” thus giving an idea of how well she can play off with male vocals, but for the most part, she’s down in the melancholic dumps, and rightfully so. Obviously, a world-beating cast of characters on display here; a formidable lineup of known players that is rarely seen in melancholic doom. Hour of the Nightingale leaves its mark, a weighty, emotional platter that bids proper farewell to Starbridge. No use in pondering where else the project could have gone. It’s all right here anyway.